Design a label, or labels to suit your branding, products and packaging. Purchase barcode numbers from a company like GS1, so that your products will have unique barcode numbers. Enter your variable data into a spreadsheet, for example Excel, so that the details can be recalled for printing. Decide on which printer suits your requirements the best; take into account the quality of print required and how many labels you intend to print. Decide on which software package suits the best. Do you require a 'lite' or a professional' version. Is the printhead wide enough? -- A 4" printhead is suitable for any size labels less than 4" wide. Direct or Thermal Transfer or both? -- Direct will only print on labels which are made from thermal paper. Thermal Transfer printers use thermal foil roll and will print on various materials, including plain paper, card and plastic. Desktop or industrial? -- Desktop printers are less expensive and are suitable for producing up to approximately 300 short labels per day. They are available both as Direct and as dual Direct/Thermal Transfer printers. Industrial printers are usually only available as dual Direct/Thermal Transfer printers, and are suitable for large scale production runs. If you plan on using labels which are not rectangular in shape, an industrial printer will probably suit the application better, because they are more programmable. Label printing software is like standard word processing software with extra features included to make setting up label formats easier. There are usually a couple of different versions available from 'Lite' to 'Professional'. The Lite versions usually don't include a link to a database, and sometimes don't include full barcode printing. If you want peace of mind, it is advisable to purchase your hardware and software from a company you know will supprt you in your hour of need. For example, if a red light flashes on your printer and labels are not printing, you need to establish if the problem is related to your printer, your software, your database or your ladel design. Your support company should be willing to visit you on site if the issue cannot be fixed over the phone, returning equipment to base for repair is not really a viable solution, because it is too disruptive to production. Stephen O'Brien Retail Systems have been supplying labelling solutions since the mid 1980's. 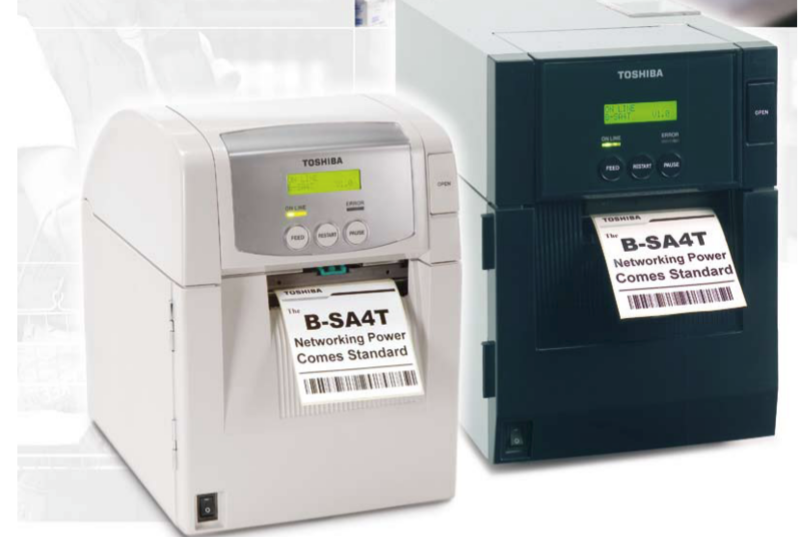 Our preferred printer supplier is Toshiba, we have been supplying their range of products since 2000, and are totally happy with both the quality of the hardware and the aftersales support. We supply and support labelling software from Image Computer Systems. Label Direct Professional is one of these programs which is very suitable for food labels. Would you like some information on our printers and software?